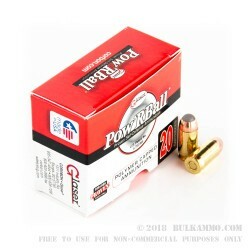 The powerhouse .380 ammunition by Glaser/Cor-Bon that has a reputation few .380 ACP loads have for being so reliable and offering penetration and expansion unlike anything else in the market in that caliber. This is a proven reliable feeding round and a proven reliable extracting/ejecting round for a vast majority of finicky .380 Autos; of which, there are many. 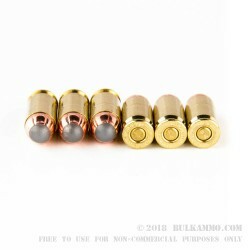 The polymer ball embedded into the lead core hollow point results in a round nosed projectile that offers incredible penetration and very nice expansion, relying on the ball to produce the cavitation necessary. The low projectile weight compared to other .380 Auto rounds is more than compensated for by the performance increase in both feeding/reliability and expansion/penetration of the projectile. 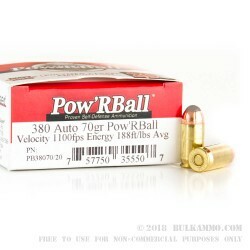 This is a legendary round for the caliber and it is surprisingly well-known despite not being made by a major mainstream manufacturer with a ton of volume distribution channels. 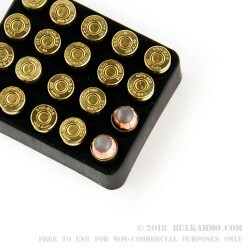 Q: What is the FPS and muzzle energy on this round? A: Hello! Corbon states that this round has a muzzle velocity of 1100 fps and a muzzle energy of 188 ft. lbs.